ADDIS ABABA, Jan 27 2013 (IPS) - Every single day, 452 women in sub-Saharan Africa die from pregnancy-related causes; that’s 18 women every hour. Against this backdrop, heads of state gathered in Ethiopia’s capital Addis Ababa for the African Union Summit met at a side event on Sunday, Jan. 27 to renew their commitment to reducing the maternal mortality rate on the continent. Back in May 2009, the African Union and the United Nations Population Fund (UNFPA) launched CARMMA, the Campaign for Accelerated Reduction of Maternal Mortality in Africa, with the aim of expanding the availability of reproductive health services and moving Africa closer to achieving Millennium Development Goal (MDG) 5: reducing the maternal mortality rate by three-quarters and ensuring universal access to reproductive health care by 2015. Ahead of the CARMMA meeting, United Nations Secretary-General Ban Ki-moon urged African heads of state to commit to the MDGs. But although pledges and promises have been made, the continent still has a long way to go before it reaches the 2015 target – so far, sub-Saharan Africa has seen an average reduction rate of just 41 percent. UNFPA Executive Director Dr. Babatunde Osotimehin believes that, while sub-Saharan Africa has made significant progress, this high-level meeting with African heads of state is urgently needed. African Union Commissioner of Social Affairs, Dr. Mustapha Kaloko, is not convinced Africa will reach the set goal by 2015 but he does believes CARMMA has the capacity to accelerate the reduction. He added that most maternal deaths in Africa could have been prevented by using already existing practices and interventions. A recent study by the renowned medical journal ‘The Lancet’ shows that a woman in sub-Saharan Africa is almost 100 times more likely to die because of pregnancy and childbirth complications than a woman in a wealthy country. The same study also states that eight out of ten countries with the highest numbers of maternal deaths are in Africa with Nigeria and the Democratic Republic of Congo topping the list. Another major challenge, according to Osotimehin, is the level of political commitment from nations to reduce the rate of maternal mortality on the continent. A vast majority of maternal deaths – roughly 57 percent – occur on the continent of Africa, giving it the world’s highest maternal mortality ratio. And the mortality rate is not the only thing of concern to development experts and local medical practitioners — for every pregnancy-related death, there are about 20 women who suffer complications before, during and after childbirth, leaving mothers and children alike with lifelong disabilities or medical conditions. Severe bleeding after childbirth, infections, high blood pressure during pregnancy and unsafe abortions are the most common causes for pregnancy-related complications and deaths according to the UNFPA. The increased use of family planning services has been successful in several countries such as Malawi, Tanzania and Zambia. Another solution is to reduce the maternal mortality rate by preventing child marriages, Osotimehin said. In Niger, over three-quarters of women get married in their teens. Pregnant girls between the ages of 10 and 14 are five times as likely to die during pregnancy than women in their twenties, according to a UNICEF rapport, while pregnant girls between the ages of 15 and 19 are twice as likely to die during pregnancy than women in their twenties. Though CARMMA is primarily focused on women’s health, men do play an important role in this campaign. Osotimehin says everybody needs to realise that the high rates of maternal mortality are not acceptable. “So we must talk to men because they are the ones who are causing all these problems,” he stressed. Minister Gazard agreed that men’s participation is crucial. “Without them we will not be successful in reducing the maternal mortality rate,” she said. In a bid to involve men in these efforts, Benin recently started a project whereby men are encouraged to attend prenatal consultations with their wives during the pregnancy. So far, Equatorial Guinea is the only African nation among ten countries worldwide to have reached MDG 5. 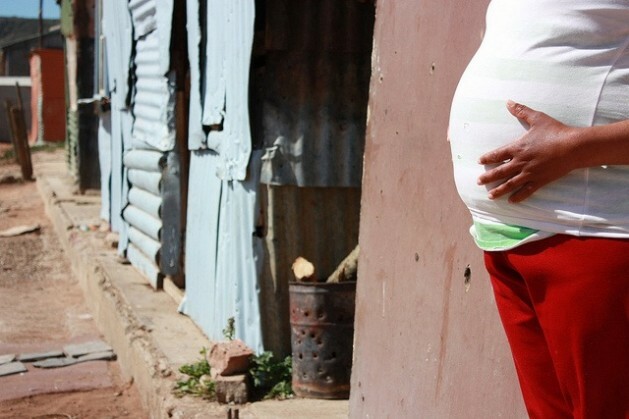 Leading experts like Michelle Bachelet, executive director of UN Women, are convinced that few, if any, African countries will be able to reduce maternal deaths by 75 percent in 2015. “We have to focus on increasing the efforts but we should already start thinking about what is going to happen after 2015,” Bachelet told IPS. Hi Blain Biset, you said “Equatorial Guinea is the only African nation among ten countries worldwide to have reached MDG 5” in what source have you based your conclusion? likely you are to die giving birth.